A challenging culvert restoration project carried out by Team Van Oord on behalf of the Environment Agency has been highly commended in the 2016 Constructing Excellence South West Built Environment Awards. The Constructing Excellence Awards recognise outstanding built environment companies and projects that have delivered improvements in all-round performance through collaborative working and a real desire to make a difference. The 2016 South West Built Environment Awards attracted more than 100 entries across 15 categories. The Coombend Culvert Refurbishment Project was shortlisted in two categories, ‘Heritage’ and ‘Innovation’. 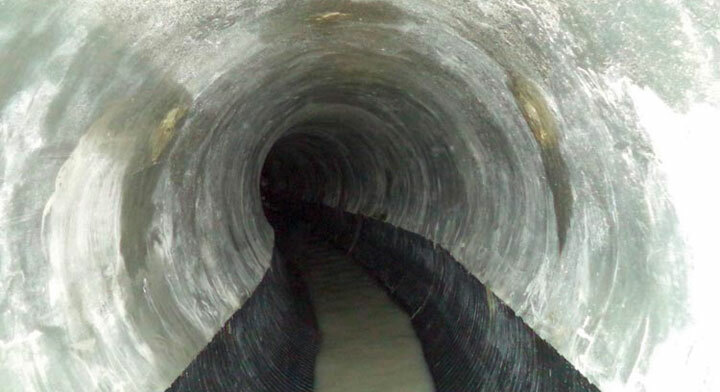 Located close to the town of Radstock in Somerset, Coombend Culvert was originally constructed in 1885. Team Van Oord worked in partnership with specialist sub contractor Matt Durbin Associates, which has a long association with surveying the culvert, to reline the culvert. The design and build solution put forward by Team Van Oord minimised the requirement to open excavate the majority of the structure, thereby minimising disruption to local residents and retaining the heritage in the local area. The 2016 Constructing Excellence South West Built Environment Awards were presented at the Bristol Marriott Hotel City Centre on 20 May 2016. The ceremony was attended by around 400 representatives of local and regional companies together with senior figures in the construction industry. Another Environment Agency scheme delivered by Team Van Oord – the Broomhill Sands Coastal Defence Scheme – has been named a finalist in two categories (‘Innovation’ and ‘Project of the Year’) of the 2016 Constructing Excellence in London and South East Awards, which will be presented on 30 June.